My dearest friends, as I have shared with you many times before, there is just no way I can explain how my life has turned around. Just the people I am honored to call dear friends, the survivors & families who have touched my heart with words of support, and the many unexpected voices of those in film documentary, P.R. profession, education & therapy; advocates, organization leaders; all giving ‘My Justice’ outstanding reviews and support. please say a prayer, send a note of encouragement, or whatever you have in you, to my dear friend Patricia A. Mcknight. If you have not heard/read her true story of struggling with being in a very, very bad situation, please do so. 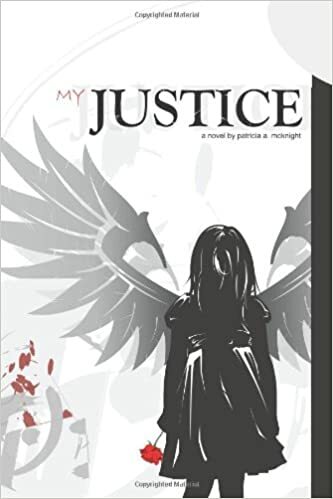 My Justice is a hard story to read, but it’s non-fiction and shows the strength and courage Patricia has to share her story in order to help others. Unfortunately, Patricia’s story is not the only one, she’s just the one I know who has come forward, not an easy thing to do at all. Tommy Connolly is a very good example of what true courage is about. If you read that story about drugs, addiction and beating the odds, you will feel the connection to My Justice by Patricia as well. Patricia, like many of us, goes through struggles. The physical scares of her abuse are still showing, and she is trying to repair them, however it is the inner scares which are hardest to repair. Again, please show your kindness and love to her. She’s an amazing woman. A personal message: I have read your book/story, from cover to cover and I must say, honestly, you are the bravest person I have ever known. It’s one thing to be brave on the streets as an officer, it’s quite another to be brave sharing the deepest parts of our soul and the feelings that come with being abused. Help is always there!! If you have been harmed sexually or physically, please reach out and give yourself a chance to LIVE SAFE. Survivors World – National Crime Victims Week 2014 03/26 by Butterfly Dreams Abuse Recovery | Self Help Podcasts. Tonight Survivors World is calling out to ALL VICTIMS of ALL TYPES OF CRIME!! When you have been robbed, suffered through Identity Theft or some other form of personally violating or threatening crime you and your family are still effected by the fear & trauma you are trying to cope through. It’s a huge pleasure to welcome a personal friend & a strong advocate resource helping reduce all forms of Human Trafficking and build awareness through their recent grant award for the National Crime Victims Week 2014. Butterfly Dreams is hoping to encourage others to be aware of how ALL types of crime leave an ongoing ripple effect until the trauma is healed. Let’s hear your story and how a crime has changed your life. Kristen Eng of Rescue & Restore of Southwestern Illinois is joining me here tonight to share about the upcoming event to honor all victims. Restoring the Balance of Justice Glow-Run 5K, Vigil & Resources Fair. I love bringing local resources of support and help to share here in my area. Also, I will be speaking to help kick off the event on April 11th, so come on out if you can. Get ready for a terrific broadcast and we hope you pass this on to your circles. I believe next month is a time to rise everyone. We are the generation with a grand opportunity to truly make a difference with all the courage we have built in our mission thus far. We are the Generation No More and this is a broadcast outreach program of Butterfly Dreams Abuse Recovery & Butterfly Dreams Talk Radio. Thank you. Restoring the Balance of Justice Run 5K. Friends it is an honor and incredibly exciting to share – This upcoming National Crime Victims Week Event by Hoyleton Ministries and Rescue & Restore of Southwestern Illinois. I have the huge pleasure to speak to help kick off the VIGIL & 5K RUN. Be there and give voice for all VICTIMS OF CRIME. Through support & resources we can Restore the Balance of Justice!! Alienation : The Lost Childhood! Parental Alienation is without a doubt child abuse & destructive up through adulthood. If there is not a true healing process the connection between that parent & their child will be difficult at best throughout the child’s life. If one parent is a truly violent person AGAINST THE CHILD, then you have cause. However, your in ability to get along or your dislike, your revenge against the other parent or using your children as pawns in the greatest chess game, this is the destruction of their DNA who they were intended to become!! !